It looks as though we have found out who is the real Queen Bee of Beyoncé and Jay-Z's home. That would be their eldest child, daughter Blue Ivy Carter. The 6-year-old girl demonstrated her hypnotic power of persuasion over her parents — and according to some people on Twitter, the world — at the 2018 Grammy Awards. Seated in between her parents, Blue Ivy made a gesture that appeared to say "calm down" at both Bey and Jay after they joined other audience members in clapping during American-Cuban pop singer Camila Cabello's speech about Dreamers and immigration reform. Naturally, the adorable moment quickly went viral and became the top Twitter moment of the night. Looks like Blue's baby brother and sister, twins Sir and Rumi, will have some fierce competition growing up. 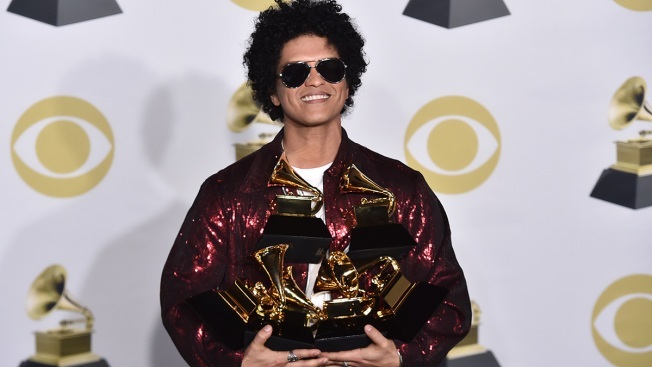 Jay-Z was nominated for eight Grammys at this year's ceremony, but walked away with zero golden gramophones.